The first cousin to a standard lottery, Keno is an ancient and exciting game of chance where players wager on or against specific numbers being randomly selected. 20 numbered balls. Ball Hopper – Used to mix and randomly select numbers. Gaming ticket – Each ticket bears 80 printed numbers. Any number of players can bet on Keno. Winning at Keno is achieved by selecting up to 15 numbers that you are betting for or against being randomly selected from the hopper. You win more according to the total amount of numbers that you bet on or against correctly. Players select or “Mark” up to 15 numbers on their gaming card that they will bet for or against being drawn from the hopper. All numbers must be selected and bets must be placed before the numbers are drawn. Twenty numbered balls are spun in the hopper. Each ball rolls out randomly until all twenty have left the hopper. A “Catch” number is a number that rolls out of the hopper. The round of play is then over. Before the next round, players may choose new numbers or have the option to continue using their original numbers. 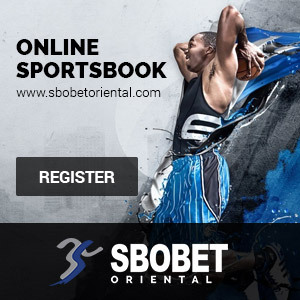 Straight Bet – A player can place this bet after marking at least one number on his or her ticket. Winnings are based on how many balls roll out that the player chose. The chart below is an example of winnings using a $1.00 bet. High Roller – Similar to the straight bet, you can place this bet with only one number marked on the ticket. The payoff for winning is different in that you have to choose more numbers correctly to get paid but the payoff is greater. The chart below is an example of winnings using a $1.00 bet. Bet Against – This bet can only be made after selecting at least 8 numbers on a ticket. You are betting that none of the numbers selected will be selecting from the hopper. The table below shows winnings on a $1.00 wager. Catch All – This bet can be placed by choosing at least 2 and not more than 7 numbers or “Spots” on a ticket. This bet can only be won if ALL the number chosen on a ticket show up. The table below shows winnings on a $1.00 wager.